Got to love papercraft. Buy it. Print it. Cut it. Glue it. Done. Or not and start again without too much $$$ down the drain. But when it works... oooohhh. Nice. 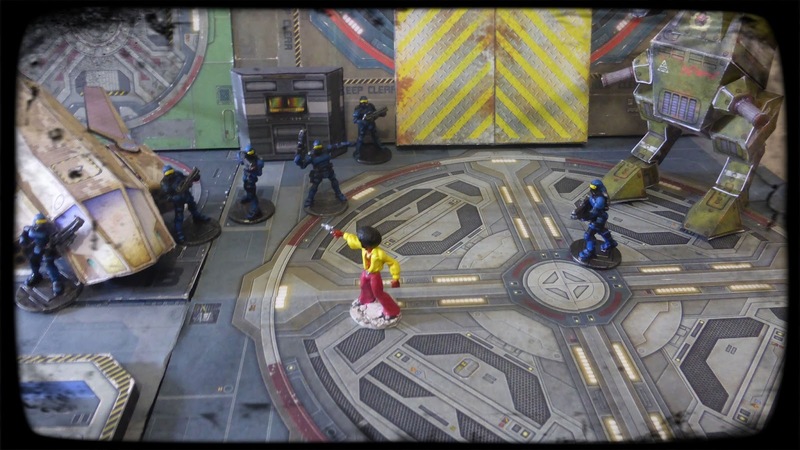 The floor of the spaceport is from Wargame Vault's Spaceport Title Paper Terrain by Dave Graffham Models if you feel like giving it a go yourself. Right now we're working out what to make next - a wee bit of planning before the printing starts in earnest. Update: over the course of a few evenings I've prepared about 48 x 24 inches worth of our spaceport - learning a few things about gluing in the process. I've got the Kitty Hawk (also a Paper Model) in the following shot for scale.